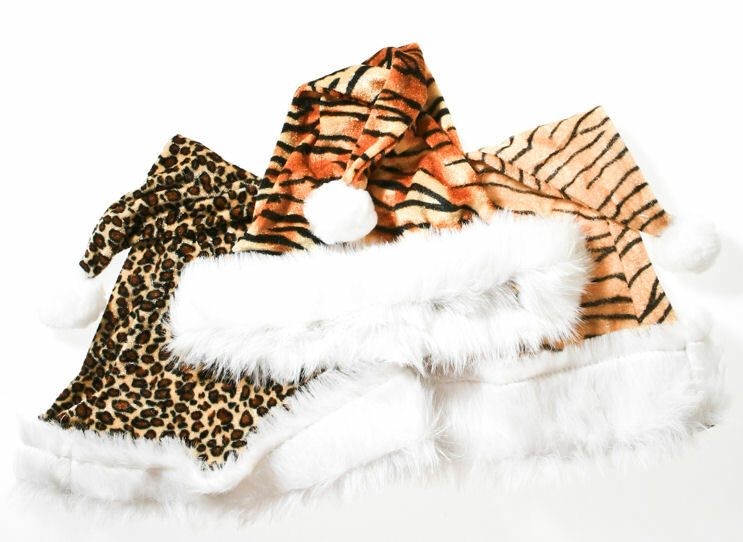 Be a stylish Santa in these Animal Print Santa Hats. Santa Claus hats are perfect for creating holiday cheer at office parties, corporate events, family gatherings, and Christmas parties. 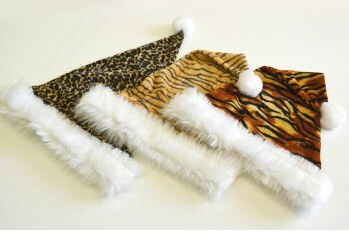 Your hat will stand out from the crowd with this Plush Animal Print Santa Hat. Be a trendsetter this holiday season with this fierce animal Santa hat! Includes one of each design shown above. 100% Polyester. One size fits most adults (measures about 22" inches around the base).